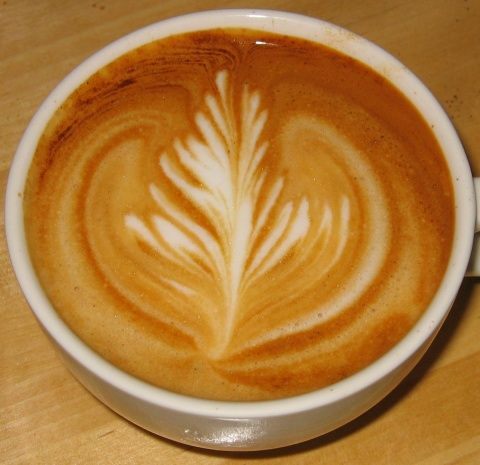 Latte Life At The Crossroads: The Church as a Christian Nordstrom? I have personally always felt uncomfortable in the big, carefully presented and splashy mega-churches. Maybe it's just me, but I find they lack authenticity and seem to be putting on a show rather than living as a community. One reason I like First Pres, is that we have "dirt under our fingernails" - an imperfect kitchen, weeds in the garden and perhaps a leak in the roof. And that's o.k. because its home and having a perfect church isn't something we can achieve on our own anyway. I would also add "the more professionalized, on-top-of-things, and in-control the leadership of the church appears," the less real, human and approachable the leadership of the church seems. An attitude of "I've got all the answers" from the pulpit both lulls the congregants into turning off their brains and discourages deep dialogue among parishioners. What insightful comments--thank you! Yes, we're a far-from-perfect church, thank goodness, but I must say, our new kitchen is quite an improvement! In this season of transition at First Pres, as we feel "thin" in reduced staff, we have opportunity to experience God's thickness as a community. I'm glad you're a part of us, even from Slovakia! Carl, I think you have diagnosed a significant malady of our church (and many others) in recent years. An important aspect of that is the symbiosis where, when people start viewing themselves as consumers of ministry, church staff and leadership tends to see itself more and more as the providers (and marketers!) of this product being consumed, reinforcing the consumer mentality in the pews. When a church (both staff and laity) sees itself as having professionals who do the "real" ministry and then the rest who are consumers of the ministry, we are not being the interdependent Body of Christ we are intended to be. The question now becomes, "How do we break this vicious circle?" The "consumer" mentality is deeply ingrained in modern American culture, including Evangelical Christian culture. And in each of us individually, myself certainly included. Somehow the church has to become counter-cultural, but there are many obstacles in the way of such a revolution. "How do we break this vicious cycle?" is indeed the question. I'm tempted to say, "With difficulty." If a proportion of church members/attenders comes to church to consume goods and services, when said items diminish in quality or frequency, many will opt for better deals elsewhere. Those who are left may be teachable and dig in with greater commitment resulting in greater transformation. Additionally, those who are plugged into meaningful places of community and/or service may remain and deepen in their discipleship. Short of these two ties, which can transform, many are left consuming--and shopping around. My thoughts for now. Happy Boxing Day! It sounds like you are saying part of breaking the "vicious cycle" of consumer church is for the church leadership to cease positioning itself as providers of something to be consumed. And I agree. But I think another part is for leadership (including prophetic preaching) to actively (with grace!) oppose our consumer culture. What would happen if the preacher some Sunday told the congregation that they were letting Jesus down if they were passive consumers of church (and of worldly marketing outside church)? Or if the preacher named "the American dream" as an idol to be deposed? I've got a question for you. What does it say about believers when you feel as if they are looking for the ecclesiological equivalent of Nordstrom? You know - multiple programs to choose from for each member of the family not unlike hats, scarves and mittens in all colors of the rainbow. When they don't like the programs being offered, they switch churches not unlike a shopper switching from Nordstrom to Bloomingdale's. I am extremely curious of this topic. After finishing off "Jim & Casper Go To Church" I have taken a keen interest in the definition of Church. What is it? A weekly respite, a place of community, a place to "be seen", a place to serve, a place to learn, a place I've grown up with. Likely a mix of all these. Nonetheless, as the book suggests in the Introduction, I'm afraid that Church culture has created alot of religionists..."insincere and/or fake followers" as the book suggests. People that follow a religion rather than Jesus. Why can't we, as Christians, be more honest and authentic with our faith and our brokenness?! My fav part of the book was "Big Church or Church Big" the descript of Lawndale Community Church. Talk about the hands and feet of Jesus integrated into the Church community. Awesome!! Thanks for sharing your thoughts in response to this post. I think what's needed in this discussion about church is reframing: to shift the paradigm from "where" and "what" to "who." If we default to church as "place" (the "where"), we lapse into comparing it to other places (auditoriums, a mall, a department store, or a business, for example) and then our focus is on the "contents" or "goods"/"activities" provided in that place (in other words, the "what"). My feeling, and I'm trying to think biblically here, is to redefine church as "who"--that is, to see Church as a living entity, the body of Christ, a vital, engaging community of believers sent on a mission from God. This is counter-cultural and essentially anti-institutional. I wonder how re-framing "church" this way can affect our thinking and activity? I'm not suggesting we jettison the building or our programs--but that we re-conceptualize them along these organic (not organizational) lines. Thanks for your thoughts and engagement!